Written by Adam on September 2, 2017. Updated April 25, 2019. 63 min read. Interactive, Financial Independence, Investing. 97 comments. 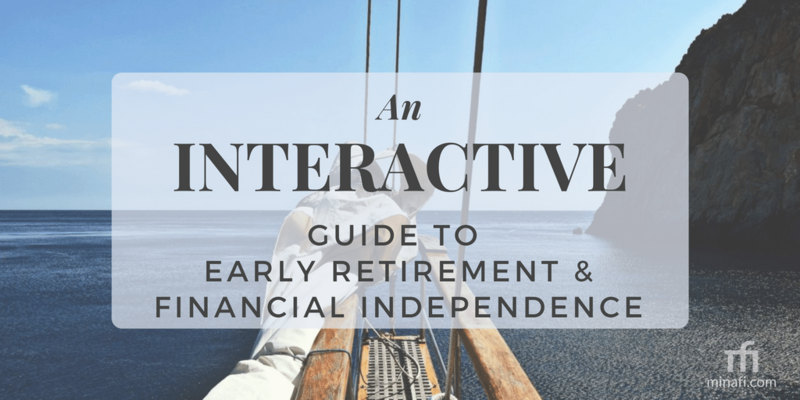 Let's talk about early retirement and financial independence! These phrases alone have a lot of weight associated with them, and you might have an immediate gut response to just hearing these terms. Instead, for this post, think of financial independence (abbreviated FI) as the point where if for any reason you stopped working, you'd be set for the rest of your life at your desired lifestyle. What you choose to do with your life at that point is up to you! After making your way through this post and filling in your numbers, you're going to know what you'll need to do in order to make it happen. Here's a rundown of what we'll be talking about. Part 1: Where Am I Now? Part 2: How Much Should I Save? Part 3: How Much Do I Need? Part 4: How Much Could I Spend Then? Part 5: How Is That Enough? Part 6: What Can I Do to Retire Sooner? Part 7: Who is Actually Doing This? Part 8: Where Can I Learn More? This is going to be the core question we answer in this article, exploring it in a number of different ways. 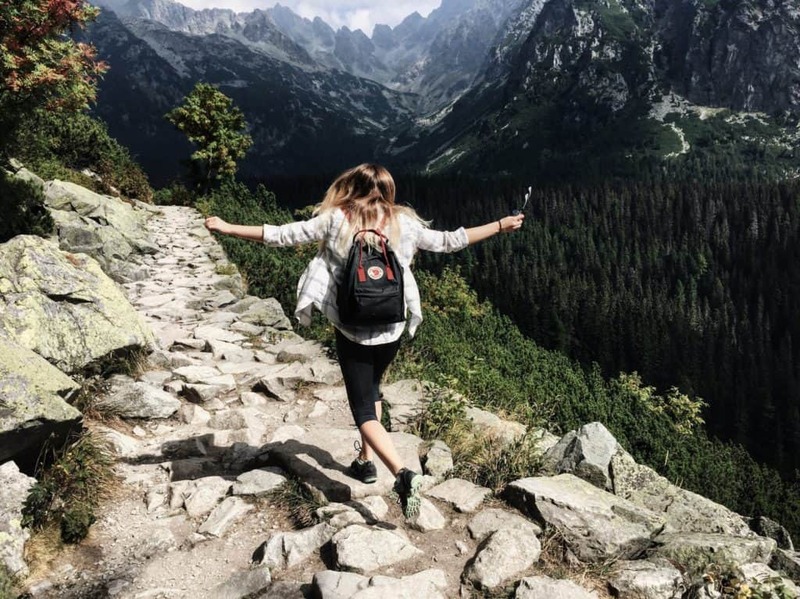 My goal is that after reading this post, you know exactly how much you'd need to retire in your current state, but also give some advice on small tweaks to your lifestyle that could hugely impact this number. The first step is understanding your financial footing today and where your current path would take you. Depending on your financial health, this can range from a breath of relief to a sobering realization. Please, bear with it. I guarantee that knowing your financial health is better than not knowing. This whole article is a bit of an experiment. Whenever you see purple underlined text yes! just like that! , that indicates this is a place that needs your input! Just hover over it and it'll tell you what to do. The content of this post will change based on your input!. I am years old and was born in January February March April May June July August September October November December . Adam Says: I'll be the first to say Happy Birthday! It's not every day you turn years old. Sure, I'm month early, but I didn't want to miss the chance! Consider it an old-school choose your own adventure blog post like you might have read as a kid. The goal is to have fun, explore financial independence, and hopefully learn a little. To get started, let's dive into your numbers starting with the basics. Try changing the underlined values and see what happens! My yearly after-tax income (w/401k included) is and each year I save total for retirement – including 401k and all other means. Using these figures, my savings rate (SR) will be about . ( / ) * 100% = Savings Rate. Adam Says: These values will be stored in a cookie in your browser and be anonymously aggregated. If you revisit this page, you will see the same results. If you want, you can reset all values to the defaults at any time. Years of savings needed vs savings rate. 100% = saving every penny. Adam Says: Assumptions abound! This assumes $0 current savings, you save what you don't spend, /yr investment growth, with inflation of , an inflation adjusted withdrawal rate of , and consistent spending when you retire. If you don't know what these terms mean, don't worry -- we'll get to them. For your savings rate, , you can see on the chart that you would need year to earn enough to be financially independent if you were starting today. If you were to continue saving and investing every year during that time, eventually you would have saved up. At that point, you would be able to retire and withdraw each year – most likely for the rest of your life. Throughout this post, we'll be diving into the math behind these numbers, why this is enough, how can you lower this number and what's required of you (and the world) to hit it. What floors me about the above chart is that a 10% SR is often sighted as a "good" savings rate. In practice, it will take you 41 years to save up enough to retire, and that's only if your spending stays the same! If your income and spending go up, it'll take even longer. If you double that savings rate to 20% though, you can retire in 30 years. That's 11 fewer years working for 10% of your salary. If you want to retire before you're 65, the common wisdom "save 10% of your income" is terrible advice! If you're hoping to be financially independent before collecting social security, you'll need to save more than 10%. Let's look into ways to reduce this number. The estimates in this article make a LOT of assumptions. We can refine this a little, but for that, I'm going to need your help – in the form of answering a few more questions. You're starting with a time period of based on just your savings rate. Saving this much isn't a sprint, or even a marathon but a hike. Depriving yourself for a few months, only to be exhausted, or spend more the following months, isn't going to have a positive impact. Pace and progress are the keys. I've personally tried maxing out my savings some months – spending the least amount I possibly could to get that SR formula looking better. The problem was that the next month I'd reward myself for doing so and things would balance out. Instead, make changes that make your life better, and that you look forward to week after week and year after year. If you're spending money on something that brings that kind of joy into your life, that's well worth it. 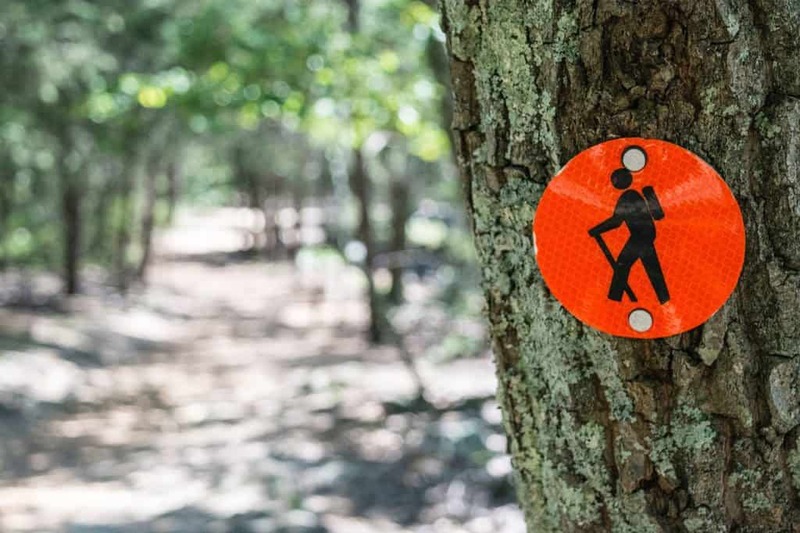 Find a way to enjoy saving the same way you'd enjoy a hike. Make it effortless, make it relaxing, make it feel right. You could be reading this and think "there's no way I could save up!". I know when I was growing up, at times my mom was scrapping to make ends meet, and saving was the last thing on her mind. For those reading in that situation, I empathize with you but struggle to find the best advice. You know your situation better than I ever could, as well as what you could do to make it better. In order to understand how much you need, we'll need to learn a little more about you. Customize this article by providing us with some details about yourself. By answering demographic questions, I'm able to analyze the collective results and share themes. Two of my favorites are: millennial spending analysis and an exploration into the gender pay gap. Rest assured that all data is anonymized in these articles. I'm a year old white (non-hispanic) black or african american asian or pacific islander hispanic or latino native american/alaskan undisclosed or other Man Woman Trans person Other Undisclosed born in January February March April May June July August September October November December with dependents/children. I have a total combined savings & liquid investments of about . Right now, I'm saving money for retirement retired paying off debt . Each year I spend about , but when I retire I'll likely spend of that (equal to about /yr). I'm hoping to retire when I'm years old. Given your savings rate and a net worth of , if you continue to invest /yr, then you're on track to be financially independent in year – at years old. When you're years old, you would need in retirement savings and can start withdrawing /yr. You're way on track to be FI by your goal retirement date. Why not try setting a stretch goal for this post? Turn down the stock market rate of /yr or turn the withdrawal rate down even further below . Your FI and RE dates are within a year of each other - which means you're right on track! I calculate you'll be FI at age years so if you retire at age years you should be in good shape. Are You Retiring Too Soon? You want to retire when you're years old but you're currently on track to be FI at age years. If you're expecting some additional funds or growth outside of what we've asked about, you might be in a good position. If not, I'd encourage you to check out why there is a difference between these two. Adam Says: For these numbers, I'm assuming /yr investment growth and a withdrawal rate. If you're not sure what these numbers mean, don't worry! I'll explain them later on in this post. This is where things start to get fun! There's now enough information to know a rough estimate of when you'd be financially independent – in year at when you're years old. Let's dive into how we got to this number. This graph shows your future net worth given your current & future savings. Adam Says: This assumes you're years old with in savings. You earn each year and spend /yr before retirement, and – equal to about /yr). That means in retirement, you'll be withdrawing about /yr). You're saving /yr. /yr investment growth and you'll use a WR. The dashed horizontal line in this graph is how much you'd need to be financially independent given your current numbers. The other line is your net worth at each age. The point where these lines intersect is your FI Age -- the age in which you'd have enough to be financially independent. Financial Independence (FI) is different from retirement. Think of financial independence as the amount of money you'd need in order to never need to work again. Retirement (RE), on the other hand, generally means not being employed, but being self-sufficient. It's possible for people to be FI but continue working – you see it all the time. From CEOs of companies to quiet employees who have saved huge amounts to bloggers talking about retirement (well, some – not me). There are also people who are retired, but who may need to return to work someday down the line when their savings run out, or if social security fails. To be FIRE (financially independent + retired) is an aim with the goal of minimizing stress from external sources. It does rely on stock markets to perform in a similar pattern to the last 100+ years, but aside from that, it's not based on too many assumptions. 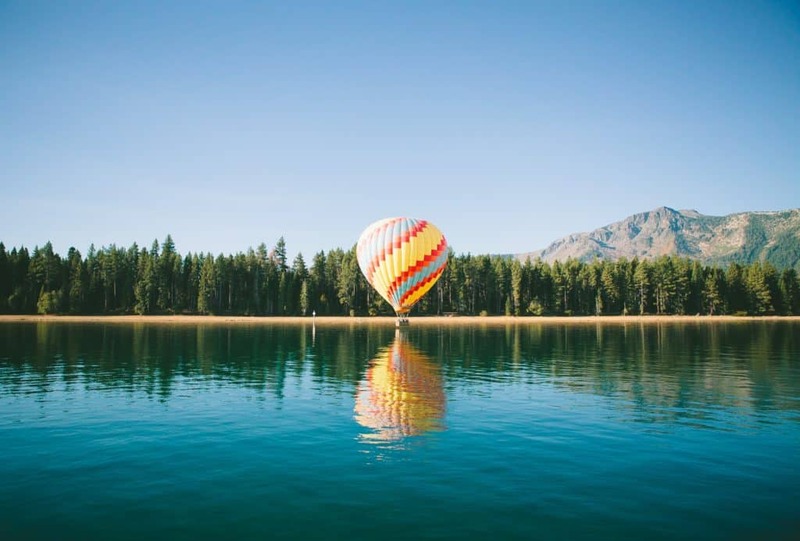 Financial Independence (FI) is a freeing idea and a beneficial goal. A percentage of your total investments you'll need each year. This assumes that you'll spend of your current spending of about /yr in retirement, which would be /yr. In other words, at a withdrawal rate , you'll need to save up before you stop working completely. At your current pace, this will take year - allowing you to be financially independent at age years old. It may sound counterintuitive, but the lower the withdrawal rate, the more money you'll need. For example, if you use a withdrawal rate of 3%, and want to spend /yr, you'll need to save up . If you want to use a withdrawal rate of 4% for the same spending amount, you'll "only" need . In other words - a 4% withdrawal rate has historically been safe for at least 30 years. A 3% WR has historically been safe forever. For a 3% WR, you'll need to save an additional more than a 4% WR, but your FI plans will be that much more bulletproof. Adam Says: This uses the same /yr investment growth as before. According to the Trinity Study, a 4% WR works 92% of the time over 40 years, while a 3% WR works out 100% of the time. Check out Early Retirement Now's Ultimate Guide to Safe Withdrawal Rates for a deep dive into this subject. Withdrawal rate is one the most talked about (and heavily debated) topics when it comes to early retirement. I'm only going to introduce the topic in this article, but if you want to read more here's a great post on Where'd the 4% Rule Come From Anyway? My personal withdrawal rate I use for calculations is somewhere between 3% and 4%. The fewer unknowns in your life, the higher your withdraw rate can be. When I say unknowns, I include many things that are notoriously difficult to plan for: your health, insurance, home situations, family health, changes in your spending, lawsuits against you – anything that could throw a wrench in your plans. The more of these edge cases you can have a plan for, the higher your withdraw rate could be. I don't know what will happen with insurance (or many other things) and so I lean towards a 3.5% withdraw rate. The math does add up, with some additional work. If I retire with and spend /yr when I retire, doesn't that mean my cash will run out in / = year? If you put your money into a no interest account, then this is exactly how long your money would last. Even in a savings account it'll only last a little longer. There are better places to put your money though! There is some bad news here, unfortunately. For each of those year, your spending power would be slightly less due to inflation, which is generally around 1-3%. Inflation is something we have no control over individually but it is something we can plan for. Inflation means that each year, what you can buy with your money is going down by some small amount. If you've seen prices rise since you were a kid, that's potentially a result of inflation. In year, in order to spend /yr in today's dollars, you would need in the year to have the same spending power. Because of this, we need to increase our total funds by each year just to have the same buying power as today. So why are we using for these numbers rather than ? There are two main reasons. First, the withdrawal rate is inflation adjusted. That just means that each year the amount you withdrawal will shift based on the inflation rate of that year. Here's an example using your expected yearly spending and spending rate. Here's how much you'd withdraw during your first few years assuming a inflation rate. The takeaway here is that your first year you'll withdraw a set amount, but then in future years the exact amount to withdraw will be based on inflation during those years. For this example we're using the same inflation rate, but in reality it'll vary. Another thing to keep in mind is that inflation doesn't mean all of your expenses will rise by this much every year. Inflation means that the Consumer Price Index and Product Price Indexes indicate that this shift in prices. Your net expenses may even go down! While many people see a spending reduction once they stop working, if you're more than 10 years away from that, I'd recommend raising your future spending percent from (spending /yr) to at least 90% to buffer for potential increases due to inflation and other unknowns. In addition to inflation, you have taxes to watch out for. For that number we've talked about – that's how much you'll need to save after taxes are taken into account. There is some good news here actually. Taxes are extremely lenient to those investing in the stock market. Withdrawals from a 401k/IRA will be taxed at the same rate your paycheck when working, but there are many other investing options that allow you to pay much less tax. For example, a Roth IRA allows your money to grow tax-free, and you to withdraw money without paying any taxes. Capital gains, which are the growth on an investment, are taxed at 15% – but only for earnings above $78,000 (!) if you're filing a joint tax return. Depending on your situation it may be possible to withdraw /yr and pay absolutely nothing taxes. For our plan, we're aiming to withdraw $80,000 a year and pay $0 in taxes – so it's definitely possible! The takeaway on taxes is that you'll want to make sure your number takes them into account. Keep that knowledge at the back of your mind for now as something to learn more about later (taxes are a huuuuge subject that are too big to cover here). The missing piece here is that you can invest that money in the stock market -- both while you're growing it and when you're drawing down from it. A diversified portfolio of US stocks, foreign stocks and bonds has returned on average 7% a year over the last century. This is an important number! If you're withdrawing at most 4% of this, and 3% of it is going to inflation, then your net worth will last forever. Unfortunately, the stock market has ups and downs, so we can't make predictions quite that bold, but we can use it as a baseline. This is why 4% is often sighted as the maximum WR to use in calculations. Learning how to invest and earn ~7% will sound intimidating at first. It will take trial and error, but more than that it'll take being brave and putting money into the stock market. Using a simple 3-fund portfolio is a great place to start learning how to invest. If you put your money into a savings account and withdrew some of it each year, the total amount you'd withdraw would be around . However, if you invested this and it grew at a pace of /yr, and you withdrew an inflation adjusted /yr, then this amount could provide you with before your 100th birthday. That wouldn't be all at once but in the form of /yr. This is the true power of compound interest! Imagine how many more years you'd need to work to save this amount without investing. Actually, no need to imagine -- it's year! That deserves repeating. If you learn how to invest, you can retire year earlier. This is the number one difference between people who retire early and those who wait until social security -- people who retire early learn how to invest. When I first did the math on compound interest I was floored. The idea that I'd make more money during retirement than during my working years seemed counterintuitive, but the numbers were right there. If you're not currently investing, learning enough to feel confident can be intimidating. It takes time, patience and the occasional leap of faith. I've put together a free 10-week email course to help you get started. In this course, I'll email you a new set of tasks to accomplish each week. Sometimes this will include articles to read, or activities to perform on Vanguard. By the end of this course, you'll have a balanced understanding of investing and confidence to invest for the rest of your life. If you've been putting off learning how to invest, this is where you should start. If you'd like to learn more, you can read about The Minimal Investor Course and take the entire course for free (Really. I just want to help you learn to invest). Speed up your FI hike with a few small lifestyle tweaks. Now that you have a baseline of until you've saved up enough at your current pace, let's see what small steps you can take to lower that number! The savings rate calculation we looked at is based entirely on these two numbers (spending/savings). Let's look at a few scenarios and see what impact they have on your FI dates. What If: You Reduce Spending & Save It? If you reduce your spending by (saving a year more), then you could be FI year earlier once you have saved . By reducing your yearly spending by , you'll need less to retire. Upon retiring, you'd be spending a year. Adam Says: Are there things in your lifestyle that you'd be happy to cut? Would you rather cut spending by /yr or work for an additional year? The less you need, the less you'll need to save. If you reduce your spending to $0/yr, you'd need $0 to retire. That's likely unrealistic, but the less you spend, the less you need. Taking steps to reduce your lifestyle can pay off by reducing the time you'll be required to work to maintain it. Be careful not to go overboard though. Build a life you want, then save for it. What If: You Earn Money In Retirement? You're on track to spend /yr during retirement. What if you still spent this exact same amount, but of it comes from income in retirement? This would involve you finding a way to make /yr in side income. In that case, you can retire year earlier! 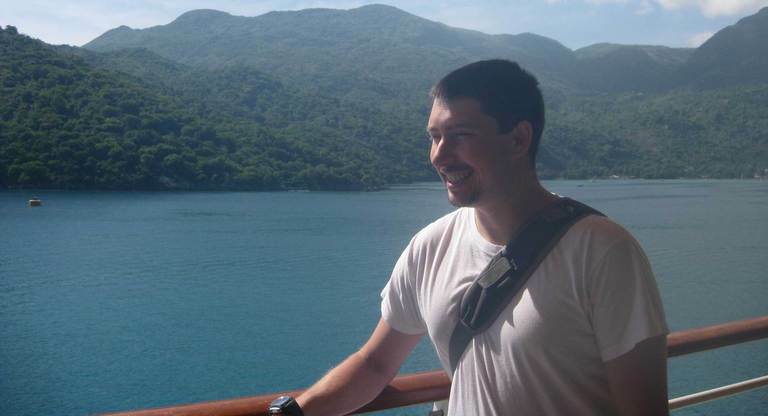 Adam says: What can you start doing today to add another income stream? It would reduce your time until retirement, but also add stability for later on. If you're like me and haven't made money outside the boundaries of a W-2 for your career, this might just seem like more work and not FIRE. The distinction to me is in having a side hustle that you love doing. One that you look forward to waking up to work on. At that point, this additional revenue stream can become another challenge in your life or another form of self-expression. Lowering expenses and earning money in retirement are three very clear ways to reduce the time until you are financially independent. What If: Reduce Spending & Earn Income? Rather doing one or the other, what if you do both? That's the best way to optimize your path to financial independence. You reduce spending by while replacing of your income during retirement (). This would result in you reaching FI in year. That would be earlier than your current timeline of year by year! Adam says: It's crazy to think that these 2 things could result in a reduction in your working years. Making more money and spending less while investing is the key to achieving financial independence sooner. There are 543k subscribers to /r/financialindependence/ alone. You might be surprised by who is pursuing FI. It ranges from people in debt to multi-millionaires who have retired already. There is likely someone who is in a similar situation to you out there. Here on Minafi alone there are 1 people pursuing fire who have contributed their own stories to the community directory! Here's a random sampling of a few stories. How did you learn about FI? Reading The Bogleheads Guide to Investing set me on my journey. It made it clear how little I needed to retire if I was investing it in the stock market. What was your financial status when you began? 2 months after I graduated college (age 23), my mom passed away and left me her house and $100,000. A few years later I was 28, had experienced investing during the recession and bought my first home. After selling her house, I had $150,000 in investments and -$100,000 in home equity when I started while making about $52,000 a year. What has been the most impactful change you've made towards FI? Learning and executing on a long term investing strategy. When I look at my total investments today, more than 1/3 of it is from investment gains alone in the past 7 years. This, coupled with controlling lifestyle inflation. What, if anything, do you wish you could have done differently? Does buying Bitcoin count? For me, I underestimated the financial impact of buying a house. I did this prior to learning about FI, and I undertook it without enough thought and planning. The extra yearly expenses (1-2% of the home price every year), the additional time for maintenance and improvements, yard work, cleaning - it's a lot to handle. In retrospect, I would've just continued renting. What advice do you have for others going down the path of FI? Save up $3,000 and invest it in your 401k, a Vanguard IRA or a Vanguard Roth IRA. Use that account to learn the basics of investing - how to buy and sell, what investments to pick and how that works. Starting small in an account where you don't have to worry about taxes helped me gain confidence before jumping in completely. Following that, keeping your spending in check year after year and not letting it grow out of proportion with your happiness. Want to share your story? Add yourself to the community directory to tell your own tale. When reading over everyone's answers to these questions, a few themes start to stand out real quick. Nearly everyone mentioned avoiding lifestyle inflation as an essential component. If your expenses increase with your income, you'll never save more. All of the numbers in this post assume that your expenses do not go up. If you spend more each year, you'll need more money to retire, and it'll take you more time to accumulate it. No one I talked to got lucky with the lottery, an inheritance, a business acquisition or a lucky Bitcoin investment that accounted for a sudden retirement. There are some out there who hit the jackpot, but for most people, it's going to take hard work and time. Going overboard on saving can make you miserable. Focus on spending money on things that will what bring joy into your life and makes you and those around you happy. This may seem at odds with lifestyle inflation, but it's important to strike a balance between these two. Adam Says: Thanks so much for all the people who agreed to be interviewed for this post! Their time and support mean a lot to me. I recommend you check out their blogs and events! 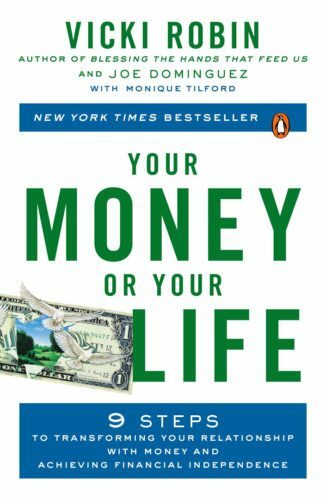 There are a few amazing books on the topic of financial independence and early retirement that go into these topics with much more eloquence and depth than I could ever explore. If you're curious to learn more, these are all amazing resources. Here at Minafi, I write about the intersection of minimalism, mindfulness and financial independence. I'll also be releasing more interactive posts like this one in the months to come. Sign up to get one email each week with what I'm focused on. Here are some of the top sources in different mediums to learn about financial independence. Your Money is an amazing exploration into developing a relationship with money that goes deeper than just buying things. This book is the origin of many articles and concepts that you'll read about in the FI world, told beautifully. As great as Your Money is, it borders on self-help as opposed to finance - which actually helps its topics connect deeper for me. This is the book that personally got me into investing and thinking about this subject. By introducing things like the 4% for withdrawal rate, understanding investing, diversification, fees, fund types, account types and more, this book served as my education on investing. The Bogleheads Guide consistently ranks as one of the 3 most influential books I have ever read in my life - serving as an introduction and education all in one. The term "millionaire" has a connotation of lavish spending and abundance in popular culture. 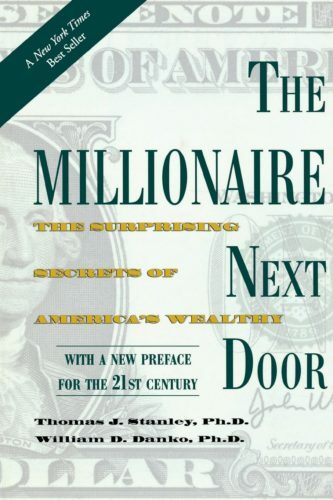 This book looks at a different side of that - working millionaires who worked hard to create a life they wanted. In order to achieve FI, most people will need to earn more than a million dollars. This book put that number into perspective for me, bringing it down to earth. There are a number of thriving communities focused on financial independence and early retirement. I can't include them all, but here are a few that I've participated in and enjoyed. This is a place for people who are or want to become Financially Independent (FI), which means not having to work for money. This was the first forum I discovered when investing. I asked extremely basic questions and people were helpful and welcoming. If you're learning how to invest, and want to do it the smart way, this forum, the associated wiki, is an amazing source of knowledge. While Bogleheads leans towards investing, the MMM community ranges from "do it yourself" to "real estate investing" to "taxes" and "entrepreneurship". The Early Retirement Extreme community (created by Jacob interviewed above!) focuses on all parts of retiring early with a slant towards extreme lifestyle changes that can make the process go faster. The graphs in this post are only a starting point for understanding your financial future. The best tool I've found for digging deeper into these numbers and incorporating many more variables is Personal Capital. They have a Retirement Planner tool that I've been using for years to understand my own finances. Check them out if you're hoping to dig deeper into graphs. What I really like about Personal Capital is it goes beyond the averages used in this post to group scenarios by percentile. In this screenshot above, you can see a line for my median case, but also the worst 10 percentile. The little blocks are me playing with life events: buying healthcare, taking social security and when Mrs. Minafi stops working. You made it to the end! Let's recap a little about where you are now and where you're going. You're a year old white (non-hispanic) black or african american asian or pacific islander hispanic or latino native american/alaskan undisclosed or other Man Woman Trans person Other Undisclosed born in January February March April May June July August September October November December with dependents/children, currently earning /yr and saving /yr for a savings rate (SR) of about . You've managed to save up so far. Right now, you're saving money for retirement retired paying off debt and spending /yr. In retirement, you're hoping to spend of what you spend today (equal to about /yr) and retire at age years old. You're on track to be financially independent in year – at age years old once you've saved up . You're assuming markets will rise /yr and that your withdrawal rate will be . If you permanently reduce your spending by (saving /yr) then you could be FI in year. If you earn a little money in retirement, say , then you'd be FI in year. If you permanently reduce spending by and earn a side income of , then you'll be on track to be FI in year -- year earlier than your current path. Adam Says: This is a dense area, but it includes all adjustable numbers in this post. If you're wanting to just play around and see the results of any scenario, this is your chance! If there's one takeaway you get from this post, it's that the concept of financial independence isn't solely for those who are extremely wealthy or for those who are nearing social security. It's a path that starts with understanding what you want out of life and figuring out what you'd need to do to get there. The fastest way often means removing excess from your life that isn't increasing happiness in proportion to the amount spent. Beyond that, it's about understanding how much you need to save to live the life you want and making a plan for it. There is no predetermined group that financial independence is for. It could work well for people in extreme debt who want to get out and work towards a different future -- or for people in their career looking for what comes next. Join Minafi to continue learning more! Track your spending for a month. Learn where every cent is going. Sign up for my free Minimal Investor Course and learn how to invest. 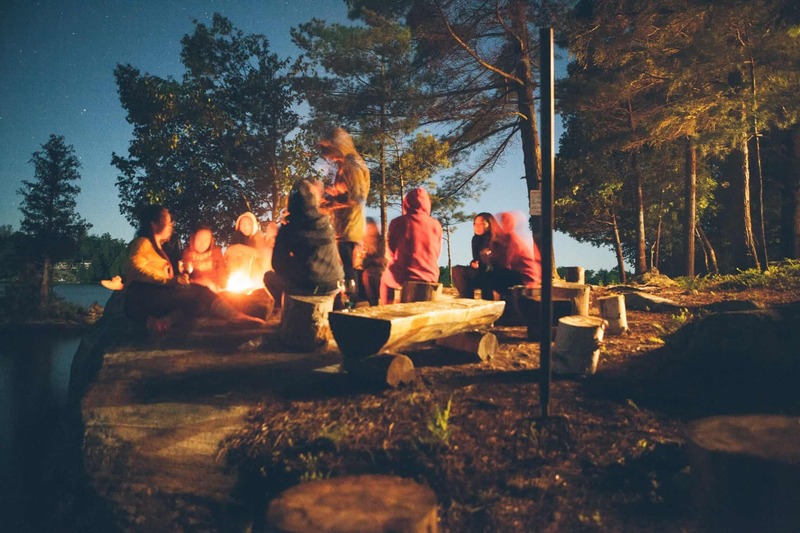 Find a community of people to learn from. This could one of the above places, a blog you enjoy, a podcast you jive with - anything that keeps you learning. Make a plan for when you'd want to be financially independent, and work backward to understand when you'd get there and how to get there sooner! Read more about minimalism, mindfulness or financial independence here on Minafi. If you enjoyed this article, or have any thoughts on it, please share it and let me know what you think. I would love to hear from you! Special thanks to the following people for helping out on this! My Wife for reading over various drafts and ideas. Bret Victor for Tangle, the JS library that inspired the data binding here. 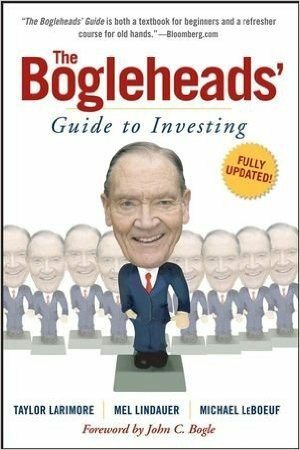 John Bogle and The Bogleheads who gave me a great foundational education in investing. Mr. Money Mustache for introducing me on to the idea of financial independence. All of the bloggers who agreed to an interview. Everyone who's shared this post to help spread the word of FI! Original, engaging, helpful, fun, and free. You’re an Ace in my book, Adam. I hope every single person landing on this piece of personal finance history shares it…because it deserves it. Thanks for the kind words Pete! That’s quite the moniker to live up to, but it would be awesome (and thrilling) for it be read by more people. Great article Adam. Glad to have helped as a beta reader. Will definitely keep this one in the back of my head as a complete resource! Holy crap this is an epic post. I love the interactiveness to it, and it hits on a ton of points of FI – savings rate, earning more, spending less, tools to track…just awesome stuff here. Great job. Haha thanks Dave! I started in midway through July and had been working on it nights and weekends since then. I don’t even want to calculate the hours (over 100 for sure though). A large portion was getting feedback and iterating on it too. If someone needs an intro to FI I know exactly where I am going to send them. Absolutely honored to be part of such an epic project. Now to go spread the word! Thanks Zed! And thanks for the help in looking things over and contributing an interview. Adam, numbers don’t work right when they’re higher. (I.e. over1M in savings) Plug in 3M for saving 50 yr old, 150k/yr and 70k in savings and living off of 55k and desire to retire at 53. it says they can’t retire until 72. This seems off. Thanks for the feedback Chuck. You’re absolutely right – it was broken for people that were already FI. For the section on “reaching FI sooner”, there’s a part where it says “It’s crazy to think that these 2 things could result in a NaN reduction…”, but it was dividing by 0 and breaking everything. Should be fixed now! Looks like it’s fixed now. Nice site. I was wrong. The numbers just don’t add up if you assume you’ve already had savings. Maybe it’s still taking out savings after you’ve reached the goal? Thank you for creating and for including us! Looking forward to using this throughout our FI journey and sharing it with others! Thanks so much! I’m glad you’re finding it useful – especially for new people who might be fuzzy on the terms. Thanks again for the interview. As someone who likes to write longer content as well, I am appreciating this so much. I know how long it takes to produce content so I’m happy to share! What a super cool tool! Thanks! I’m a fan of the long-form style too – I think it’s the best way to really teach/learn something, even it means not everyone is going to make it to the end. Posts where I come away with takeaways (or resources) like your Ebay post, are the ones I remember and refer back to. Haha, thanks! I am curious to get feedback from people for which these terms are completely new. Most the initial readers will be people with personal finance experience. I want to talk to some people who read it and have no personal finance experience. Thanks for including me in this, Adam! I’m definitely astounded by how cool this post is! Not only is it a good read, but it’s fun to toy with using your own numbers. Hopefully, you’ll get a lot of folks out there that use this as an eye-opener toward the path to FIRE. Thanks for the feedback. Yeah, I’m seriously hoping it lands that way – as an optimistic look at what the future could be for people who have never heard of these terms. This is one of the simplest, yet useful FIRE guide out there. I really like the interactive aspect of it and am glad to recommend it. The formatting is flawless and beautiful! Great job Adam! I’m having the most fun playing with this. I am such a forgetful fruit but I recall bookmarking the forum page so I could go back and answer it later on a desktop computer but it slipped my marbles. Wow! This is so cool! My husband and I are expecting to receive pensions (no earlier than 55), so I had to play with the numbers a little bit to account for that. Since the amount of our pensions are determined by how long we teach for (among other factors), it’s a little bit of an unknown amount at this point. We are saving as if we wouldn’t receive a pension, so we can decide when we’re ready to retire. FI is the goal! Thanks! I thought about trying to include late in life pensions or social security but that’s a tough one to model well – unless people have a lot of additional knowledge. I’m actually really curious how you might’ve manipulated things in this calculator to account for that? I just adjusted the numbers of what I’ll need in retirement (assuming my investments are supplemented by a pension), but it’s definitely just a guess right now, since I’m not sure how long I’ll teach for. Thanks for sharing this interactive tool! Loving how simple and easy it is to use, I just started my personal finance blog here in Australia (TheFrugalSamurai.com) and take much inspiration from guys like yourself, keep it up! HI Adam – This interactive blog post is soo RAD! Thanks for creating it and sharing with all of us. It is eye opening for sure. You Rock! This was fun! Very useful and illustrative for someone on the path to FI. I’ve shot right on past the FI number, and your calculators rightfully told me to retire yesterday. Haha, I’m glad it worked for the already-FI case. I went back and forth on how to handle that before settling on the “how about you set a stretch goal?” idea. Nicely done! I’m sure it took a ton of work on your part to put this together so I applaud your efforts! lol, that’s awesome – the defaults worked out! Awesome post! Loved reading about everyone as well. Thanks for sharing! Thanks! Glad the interviews were fun to read. 🙂 Those could be an entire series on their own. So much love for this guide. Thanks again for including me, Adam! Thanks for the interview and contribution Amy! Hmm, yeah you’re right it is an inflation adjusted 7%. I’ll plan on tweaking the inflation section to correct that point. Thanks for the heads up! Great calculator. It is fun even though I am FI and semi-retired. Thanks! I wasn’t sure how it would land for people that are already FI, but glad to hear it was still useful. Hi Adam – I am new to FI/RE and really enjoyed reading this article. Thank you for taking the time to develop/share this tool. As a military service member I find it difficult to compute my potential pension at the earliest age of 42. Do you have any recommendations to account for this? You’ll have a pension at some date later (say 60), so you don’t need to save up a net worth that’ll last the rest of your life now – just enough to last until you’re 60 + any additional on top of the pension? I thought about trying to account for this case in the post, but I couldn’t think of a good way to keep it feeling simple. I’d recommend checking out Personal Capital (link in this post) for running those more complex scenarios. I have a scenario where I get Social Security at 68 with my same numbers as here on Personal Capital and it’s been fun to play with and understand how it impacts how much I need to save. Thanks for the quick response. I will be eligible to receive full retirement benefits at age 42. Based on my rank at retirement, I would receive an annual inflation adjusted income of $40K – $50K after taxes for the reminder of my life. Trying to fit this into traditional calculators can be confusing. The way I see it, it doesn’t hurt to use the same methodology that so many non-military folks are using. Thanks again for the feedback. I look forward to reading more. A real estate investment, a condo or house goes up about 5% ON AVERAGE a year. Minus you paying a mortgage rate. And the tenant hassle. So would it be better to take that money and invest them and get 7%? To me, the real estate vs market investing decision heavily depends on where you want to spend your time. Would you rather spend it building a real estate empire or passively investing? I personally put real estate along side other side business that could become main businesses. You’ll want to invest either way, but for diversifying your income streams between a job, investing a side business (real estate, side hustle, blog, etc) seems like a great path. If you do it right, real estate can build a TON of wealth. It takes a certain type of person, a higher risk tolerance and a lot of research. For me personally, investing a lot easier and gives me more time in my life to pursue other things. Problem is, if you start your FI when the market cycle goes down, you lose a important chunk of your stocks. This is a super great interactive planner! Is there a way for me to incorporate my defined benefit pension into the calculation? (Another) Adam answered this one – but sounds like the best way. In order to give this a little more focus it’s based around not earning anything else later on. The math and the number of options get pretty crazy complex after that. 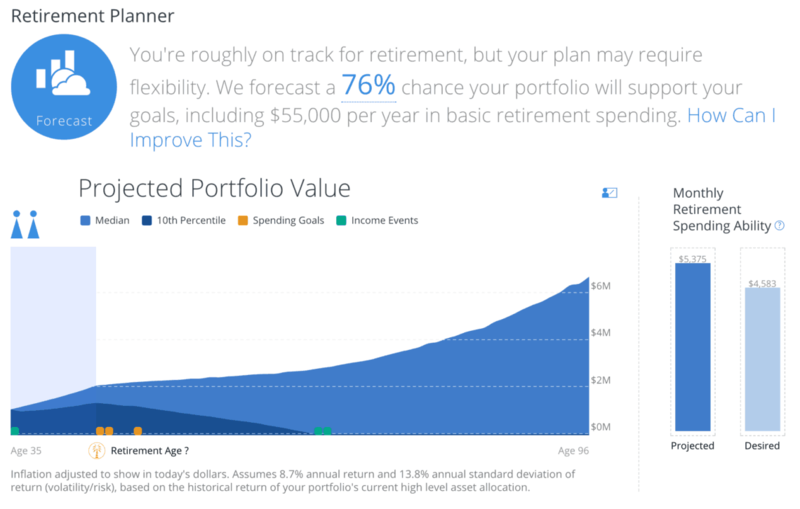 I’d recommend checking out Personal Capitals Retirement Planner if you want something with more options though. You can do things like adding a pension that kicks in at a specific year. You could count that in the retirement income/side hustle section. Basically if you know your monthly income, annualize that and put the value in the ‘What If: You Earn Money In Retirement?’ section. Great article Adam. I assume you do not count home equity in your “starting assets” value? Just brokerage, (Roth)-Ira, savings accounts and similar instruments. This is such a great way to package content within a calculator! This is exactly what so many people need to visualize it. I think the hardest part for me is realistically coming up with how much I will spend. I just don’t see this as being a static number. Not to mention there are so many unknowns. Healthcare anyone? 🙂 Great stuff, Adam. I’m sure I will link back to you many times! > Stock markets in the US have returned on average 7% a year since their beginning. This is an important number! If you’re withdrawing at most 4% of this, and 3% of it is going to inflation, then your net worth will last forever. Wouldn’t there be capital gain tax of around 40%? So the return is not actually 7%, but around 4.2%? Or 7% is already after tax? But then 12% gross return is just too high, no? Good question! I didn’t go into tax on this article because it’s a rather large topic by itself. You might already k ow this, but bear with me. The capital gains tax is dependent on 2 things: if you held it for a short term (<1 yr) or longer. If you hold a fund longer than 1yr the gains will be taxed as ordinary income. For a couple filing jointly, this means you'll only pay tax after you've taken out $76,000 of growth in a year. If you take out $100,000, but 25% comes from the initial investment and 75% comes from capital gains you'll pay $0 in taxes. The trick here is to hold long term and then only sell an amount under this limit every year. This works for brokerage sales. Roth IRA sales don't have taxes, so that one is easy. 401ks are where things get tricky. You wouldn't pay 40% at least, but you would likely pay a smaller amount. If you do a Roth IRA ladder, you can minimize this even more. Resourceful and simple to use! I would love to learn to code, could you help me out? Hey David! I’m biased on this one, but it’ll heavily depend on why you’re learning to code. If you’re up for it, reach out to me through the contact form (in the footer). If I can understand why you’re wanting to learn to code, I might be able to provide some good resources! Phenomenal piece. Thank you so much. This is being saved and archived. I would like to see this altered with real estate investing. Another one….If somebody would want to retire in 2017-2018. And would sell an investment property, and individual socks. The first 7-10 years of FI are crucial, and considering the possibility of a recession, what’s the best way to invest? 100% stock and forget about it? 75/25 with some stop-loss triggers? Or all in bonds for 12-18mo and wait? This one depends on your risk tolerance. We can’t know how markets will perform over the next 1, 5, 10 years. If I came into some money from investments right now, I’d probably dollar cost average them to a portfolio that matches my investment allocation. It would have a bunch of bonds in a range depending on what your age is. I wouldn’t put into effect any triggers for if things go down though. If you’re set with your investment allocation, then it can work through good times and rough times. In 2008, I lost 50% of my portfolio. I didn’t change things up and it ended up rebounding fast and exceeding the old value. If I had gotten out (but not gotten back in in time) I would have lost a bunch of money. That’s the hard part about trying to time the market – you have to get it right when you get out and when you get back in. One of the coolest posts I have seen! I love how it´s all interactive and how you can experiment with the numbers! Your “Retirement Age Calculator” graph is still off by a year. That is, it credits the reader with an extra year of savings without adding an extra year to age. For example, if I say that I am 40 with $1 million, and I save $100,000 per year, then the graph will say that my age is 40, and my portfolio is $1,100,000 (rather than the correct value of $1,000,000). Ohh, you’re absolutely right – the graph with future earnings was off. I just fixed it now. Thanks for the heads up on that one. It is an awesome idea, and a very well done article! I am not sure how to use it though, when I am paying off mortgage – until that is payed off, I’m not saving for retirement much, and once it is payed off, I would be saving tons more than now (because no more mortgage payments) + I would have a house as an asset e.g. in case of downsizing or moving to a cheaper area. Am I missing something in the calculator, or does it just not consider that people are paying off mortgages? Or should I just pretend I’m 15 years older, mortgage is payed off, and enter numbers from that time on? Hmm yeah, that’s an interesting problem – and one I have too as a fellow mortgage holder. My recommendation is to try Personal Capital for those more advanced scenarios. They have a planner that allows for adding life events at different times and increasing savings at a certain point. 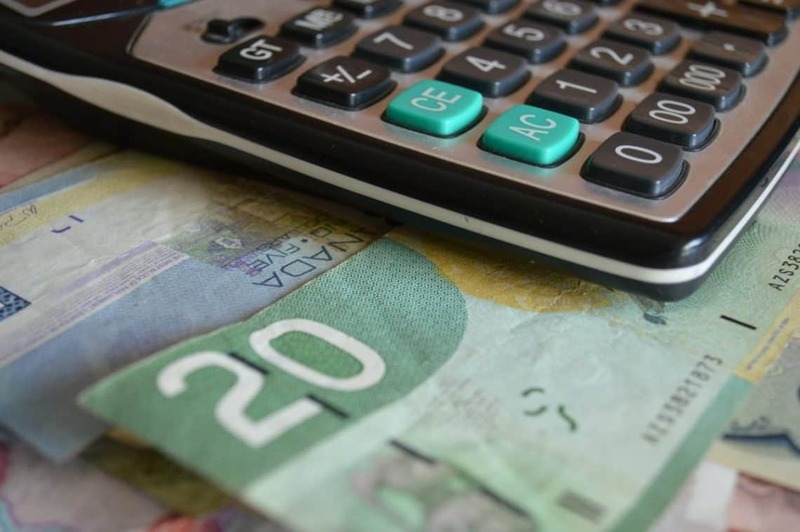 For this calculator, the closest approximation would be to increase the amount you’re investing each year slightly and see how that turns out. It wouldn’t be an exact science unfortunately though. I’ll keep that in mind for the future though! Thanks for the fast reply! Yeah, I was more interested in using this article, than in actually planning FI future to be honest – I have it all planned via traditional means of xls tables and budgeting already. But this tool you have here is too shiny to pass by. Oh well. 🙂 My solution is to pay mortgage as fast as possible to pay less interest, and to then start saving for retirement – again, as fast as possible without sacrificing important things. And to treat owning a house at that point as an extra security point, rather than as asset – i.e. I’m not taking its worth into calculations directly when I think of how much I need for retirement. New visitors are probably coming from a link in a weekly YNAB email that most of the YNAB clients would get. This is an excellent and engaging post for folks getting started with FI. I especially like the section which talks about folks that are pursuing FI and it brings it all together. Keep up the good work. I will definitely share this tool. I’m new to blogging (2nd month), and creating a piece of content this in-depth and insightful is my goal over the next few months. Content is king, and this post definitely hits the mark. With no underlined values to change. Just wanted to say nice work on the guide. This is awesome and super intuitive. Beautiful work; probably the easiest retirement calculator to use. Thanks so much for this article. Now that I have an idea of how much I need to save to achieve FI, I’m trying to figure out how much I need to save in traditional retirement accounts versus a taxable account in order to be able to withdraw money before age 59 1/2. Do you have any resources you would recommend for this type of planning? Love the analysis and guide. And I admit the digital bobble head is awesome – very much enjoyed that too. Haha, I’m glad you liked the bobble head. 🙂 A coworker at a job made them for everyone and I’ve been constantly looking for opportunities to use it. Hi Adam! First, I want to congratulate you for a fantastic post that has been selected for the Rockstar Rumble. I am your first competitor. I say first, because I am so impressed with this article and pretty sure you will take the bracket. My entry is my 2nd blog post ever and I’m working on my third right now. I was an electrical engineer and turned to software, but I worked on embedded code and have not learned anything related to the web. Your coding here is outstanding. You have really put together a great interactive and I plan on linking you to my “Discover” page. What an effort you have put together here. Hat’s off to you. Thank you for your wonderful contribution to the FI community. Thanks for the kind words Susan! Getting selected for the Rumble that early on your blog is pretty awesome! That’ll be huge for getting some decent exposure too. On the code side, I’m completely lost on anything embedded or compiled even. I love the web side of development because if I make a mistake, I can just reupload code and users can refresh the page. Putting code out there into a system without that easy upgrade path sounds muuuuch more scary. This is one heck of an intro post to FIRE. I absolutely love the bios at the end – there really are all different ways to get there (and all different things to do once you’ve made it). This is incredible. So glad I came across this article. Going to share it with others I know also working towards FI. Thanks so much for taking the time to put this together, signed up to the newsletter and looking forward to reading it! Amazing exercise. I’ve read a lot about FIRE but it’s something else actually putting in the numbers and seeing the results. I especially enjoyed the part about how much saving some money can effect your FI date. Little sacrifices can go a log way! Thanks! That was one of my favorite parts – the idea that if you cut your spending by 10% you’d be able to retire “X” years earlier. It’s crazy to me how much of a difference that can make. You have no place to note a pension, or expected income from it. That would be a useful addition. Great guide. How should someone account for a government pension in your guide? I put it under side income. Is that right? This is an incredible piece of work. I just started the FIRE journey Jan. 2017 and I love finding new interesting article like this to read over 50 times because I love playing with the numbers. I do track my finances on personal capital and have lots of information there to enter into the article. But….I have one question. My question is with out having a spreadsheet of all of your expenses or every savings you’ve made recorded, how do you calculate your savings amount? I can subract expenses from total income but i’m still left with an unknown amount of interest and dividends included in earnings which decreases the actual savings percentage. Im not sure if that changes the math formula made for the website. Thank you, i’ve already shared this with friends. This is probably one of the most user-friendly early retirement calculators I have ever used! I love this tool! I was calculating numbers in excel and I just felt like…this can’t be right. After plugging in the same data into your interactive guide, I actually got the same numbers! Thanks for this! I agree with the people above about the pension addition. Many companies still offer some kind of pension and it’d be nice to add that in.